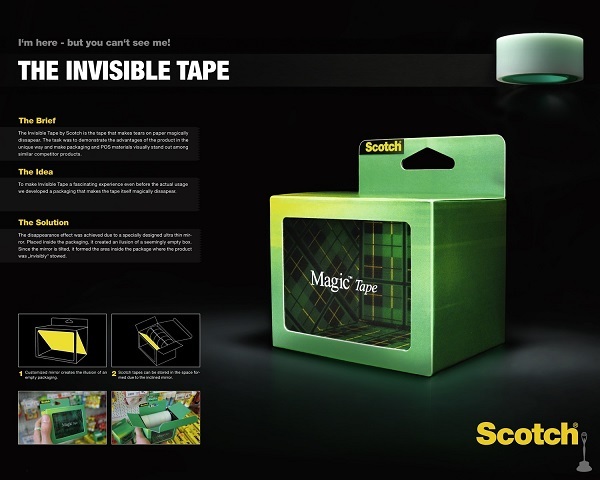 To show how the Scotch Magic Tape by 3M magically mends tears on paper, Hamburg-based ad agency Kolle Rebbe has created a clever packaging that makes it look as though the tape is invisible. The agency placed a specially designed ultra thin mirror inside the packaging and tilted it at an angle. 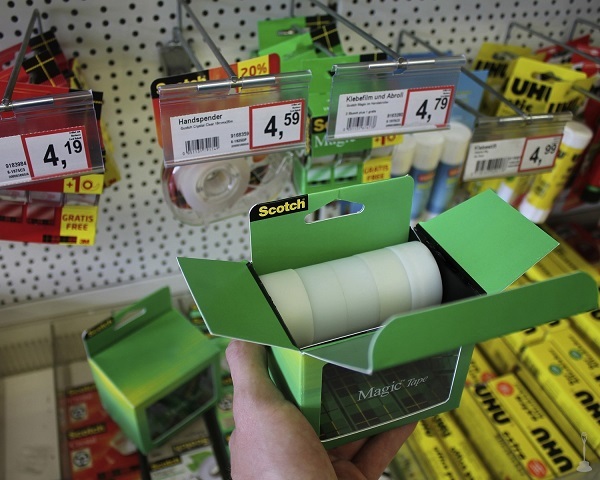 This formed an area for stowing the tape, creating the illusion of an empty box. The creative design snagged Kolle Rebbe a Silver Design award in the Packaging category at the 2014 CLIO Awards. Check out the clever packaging below. 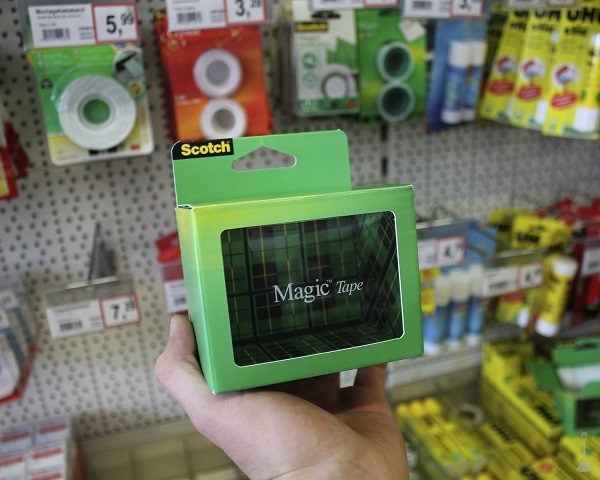 Isn’t this a unique way of ensuring the Magic Tape stands out from competing products?